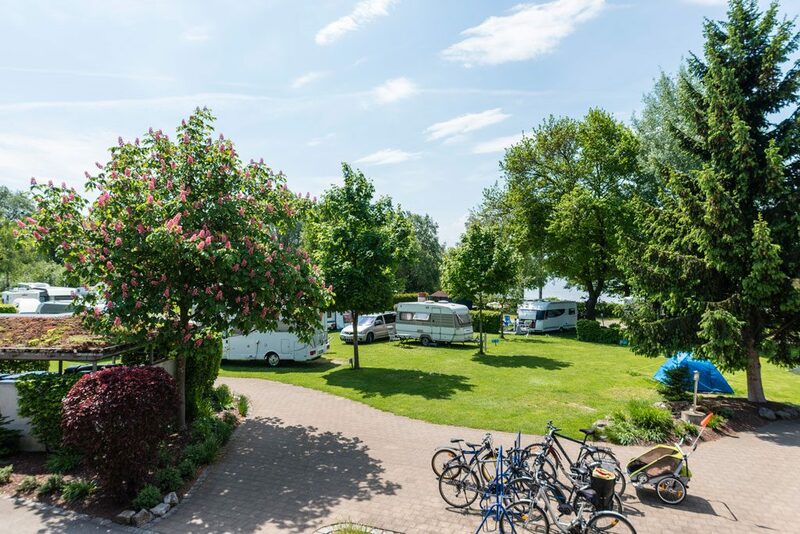 The campsite is located at the Lake of Constance. You will feel the camping atmosphere inside trees and lawns, either if you have a tent, caravan, motorhome or one of our rental cabins. Our bathroom facilities are modern and clean and of course they are barrier-free. Private bathrooms: if you rent one of our private bathrooms, you can leave all your things. Small public kitchen with a hot plate and refrigerator and a laundry with washing machine and dryer. 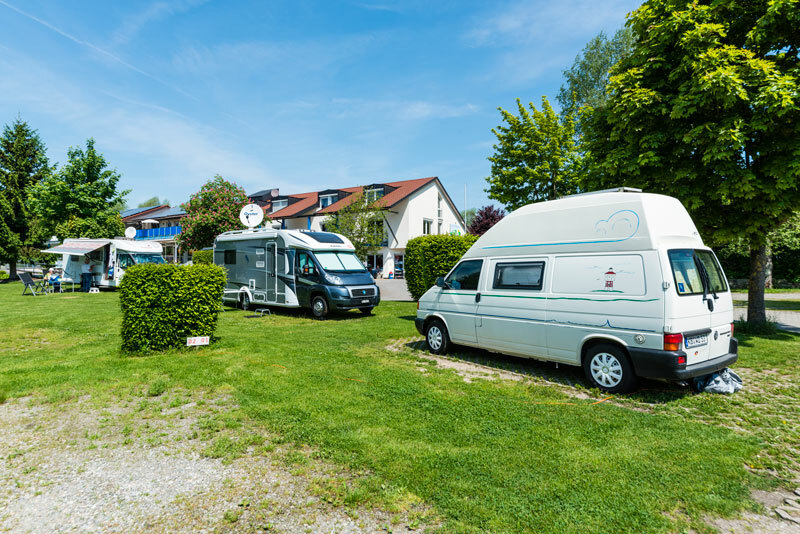 We run a small campsite with all comfort and service you need – but small enough to ensure short ways. 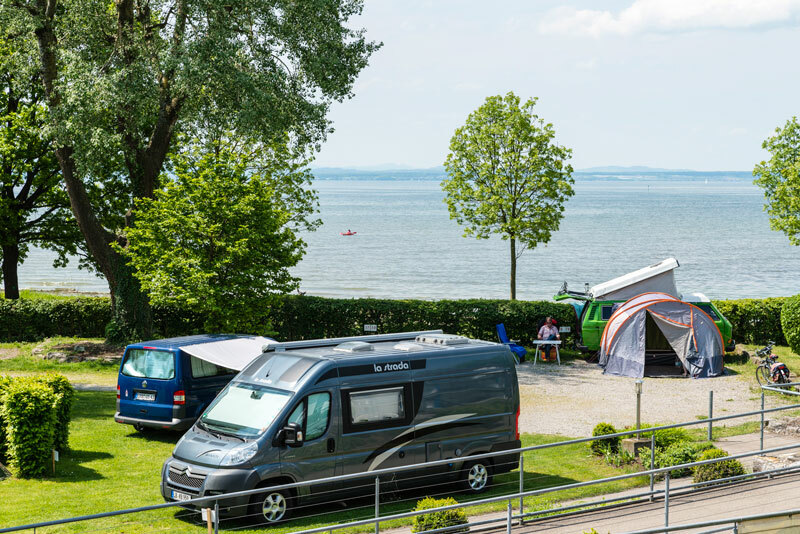 Motorhome pitches: directly in front of our camping site on "Lindauer Straße" you can find the public, chargeable motorhome parking lot of the Tourist-Information Friedrichshafen. You are welcome to use CAP-Rotach's breakfast bun service and sanitary facilities as a guest.